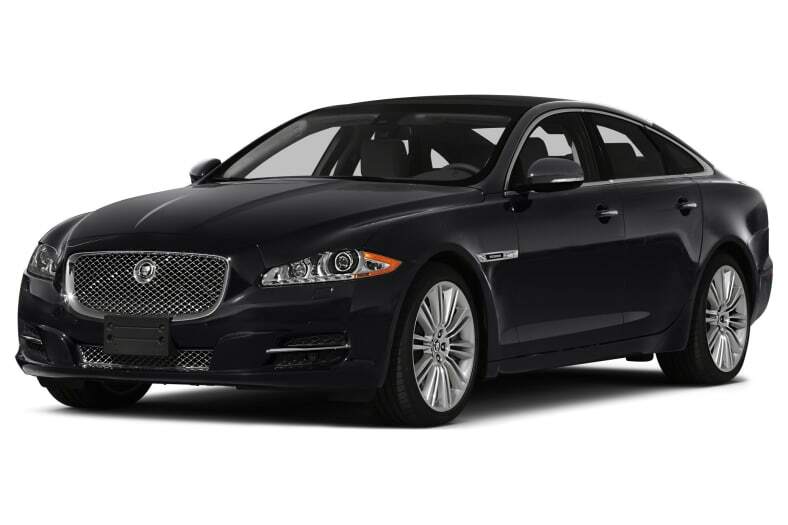 The Jaguar XJ is a full-size luxury sedan with a harmonious balance of spirited performance, smooth operation and poise. It's available in both regular and long-wheelbase variants, making it superb for whisking away passengers in style. As with most world-class luxury sedans, the XJ is rear-wheel drive, but all-wheel drive is available. For 2014, Jaguar XJ gets a number of upgrades. Long-wheelbase models get new reclining airline-style rear seats complete with a fold-down tray in back of the front seat, a new rear center armrest, and a massage feature for both front and rear seats. Jaguar XJL long-wheelbase models also ride on a revised rear suspension aimed at delivering a more comfortable ride. 2014 Jaguar XJ models are available with a new rear-seat entertainment package that uses two 10-inch high-resolution screens mounted on the back of the front seat headrests and comes with wireless headphones. An optional Meridian sound system is available for 2014, which features a conversation enhancing technology that picks up occupants' voices via microphones in the cabin and pipes the sound through the audio system's speakers. And an automatic stop/start feature comes on all 2014 XJ models. A new, performance-oriented Jaguar XJR joins the lineup for 2014, after a five-year hiatus. Powered by a 5.0-liter supercharged V8 that cranks out 550 horsepower and 502 pound-feet of torque, the 2014 Jaguar XJR will rocket from 0-60 mph in just 4.4 seconds, according to Jaguar. The 2014 XJR models are available in standard and long-wheelbase variants. Fuel economy for the 2014 XJR is rated by the EPA at 15/23 mpg City/Highway, the same rating as some of the XJ's less powerful models. A new 8-speed automatic transmission comes on all 2014 Jaguar XJ models. The 2014 XJ lineup offers a choice of engines: a 340-hp 3.0-liter V6, a 385-hp 5.0-liter V8, a 470-hp supercharged 5.0-liter V8, a 510-hp supercharged V8, and the new 550-hp V8. All but the 550-hp engine carry over from last year. The supercharged V6 comes standard with the Jaguar XJ and is used for the two all-wheel-drive models: XJ AWD and XJL Portfolio. Rated at 340 horsepower and 332 pound-feet of torque, the V6 gets an EPA fuel economy rating of 18/27 mpg City/Highway in XJ, 16/24 mpg in the two all-wheel-drive models. The XJL Portfolio is the only model that comes with a normally aspirated 5.0-liter V8. Smooth and powerful, it's a superb powerplant, rated at 385 horsepower and capable of thrusting the XJL to 60 mph in a very quick 5.4 seconds, according to Jaguar. It also delivers an EPA-rated 25 mpg Highway. It's the only engine that isn't supercharged. XJ Supercharged models are fitted with a 5.0-liter supercharged V8 that makes 470 horsepower and 424 pound-feet of torque, and launch from 0 to 60 mph in just 4.9 seconds. Fuel economy is estimated at 15/23 mpg City/Highway for both wheelbase lengths.